WASHINGTON — Alaska Rep. Don Young voted yes on Republicans' bill to repeal and revise parts of the Affordable Care Act on Thursday, saying he had negotiated assurances of future changes and had faith in the legislative process that lies ahead. 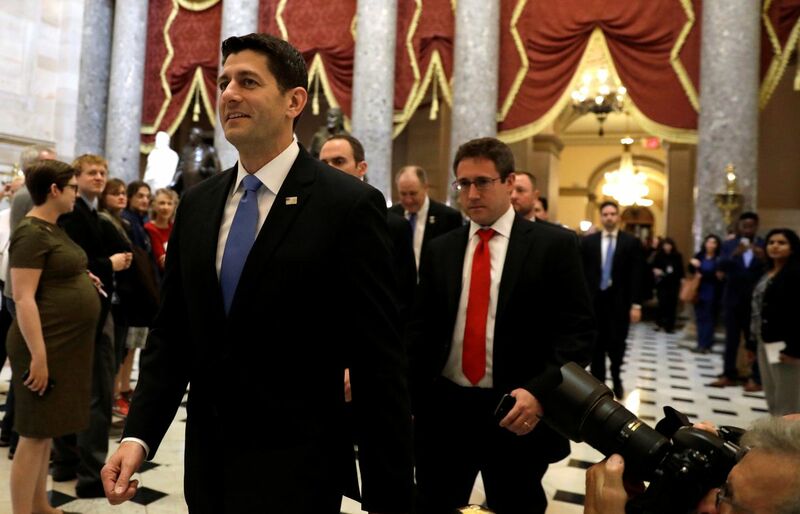 Young's vote in favor of the American Health Care Act was a change from his previous position on the bill before it was pulled from the House floor in March. Young said then he wouldn't vote for the bill because of the outsize impact it would have on Alaskans' health care costs. In the days since the House returned from a two-week recess, Young had been mum about his plans for the vote, frequently showing up as "undecided" on Capitol Hill reporters' vote-count lists. He said that was because he was still negotiating. "I wanted a pause from the first bill that was introduced. I thought it was too fast," Young said. But Alaska's sole member of the House of Representatives has new confidence in the bill and its future. Now that there has been more time for negotiations, he said, he's ready to give over to the legislative process. "This bill we passed today will not become law. It'll be changed as time goes by. But unless we move it, or move a vehicle, nothing's going to happen, and that's not good," Young said Thursday in an interview after the vote. The full extent of the bill's impacts remains unclear, as the nonpartisan Congressional Budget Office has not had a chance to release a "score" on the expected costs and effects of the law. Alaska may be among the hardest hit. "I got a commitment from the speaker to take care of the disproportionate cost — we and Illinois are really hurt the worst but we think we can take care of that," Young said. "And I know we have the money, about $19 billion that can be dispersed" to offset costs, he said. "I've talked to the Secretary (of Health and Human Services) — Dr. (Tom) Price — and he assures me that (Alaska) will be made whole, if it was to become law." Alaska Gov. Bill Walker said Thursday that the House bill "could be a game-changer for Alaska. Our state would be the most negatively affected if the proposed legislation is signed into law as is. Alaskans already pay the highest health care premiums in the country." Walker pointed to Alaska's opioid epidemic and said that affordable health insurance coverage is "critical to provide necessary treatment" to addicts. "My team and I will continue working with members of our congressional delegation to ensure Alaskans are protected and covered," Walker said. Recent amendments to the new plan included one that created a new, $15 billion risk-sharing program for states to lower coverage costs in the individual markets, and another $8 billion fund to cut into higher costs some people will pay in states that have done away with a requirement that insurers cover people with pre-existing conditions but are helping them obtain insurance through "high risk pools." The new plan would repeal the mandate for U.S. citizens to have health insurance, the requirements placed on health care plans, and, by 2020, the subsidies that limit costs for many customers who get their plans through the health care exchange. The bill bases the criteria for health care subsidies on age and income, eliminating considerations for geography and health care costs. Changes to the bill will allow states to opt out of restrictions that keep insurance companies from charging people more if they have "pre-existing" conditions. The range of pre-existing conditions is broad, from asthma, to cancer, to having undergone a cesarean section or, in some cases, treatment for sexual assault. About 25 percent of Americans have a pre-existing condition, according to the Kaiser Family Foundation. The bill will also place limits on federal funding for Medicaid. Alaska expanded its Medicaid program under the deal offered by the Affordable Care Act, often referred to as "Obamacare." "Once you get the toothpaste out of the tube, you can't put it back in," Young said of the Affordable Care Act. "But you can improve upon it. And that's what we should do. Does this do the full job? No. But it's the beginning of the process." The biggest impact to Alaska from the prior version of the bill could come in its cost. The state has far higher insurance costs than most states and the House plan does not offer the same subsidies as the Affordable Care Act. According to the Center for Budget and Policy Priorities, Young's negotiations and the Senate changes to the bill would have to manage quite a bit to make up for Alaska's disproportionately poor showing under the House bill. The lower tax credits and increased costs under the House bill would increase yearly costs for people on Alaska's health care exchange by $12,599. The bill wouldn't keep pace with Medicaid growth and would end subsidies that cover out-of-pocket costs for Alaska Natives in the marketplace, according to the center. Nationwide, about 1 in 10 non-elderly people would lose health insurance under the House bill, a ratio that could be even higher for Alaska, according to the center. And the center says that Alaska's state lawmakers would face enormous pressure to waive requirements for covering people with pre-existing conditions, "since Alaska's individual market would suffer perhaps the most severe shock of any state's under the House bill," with "a nine-fold increase in the premiums for marketplace consumers, on average." Young said that it was his responsibility to move the bill forward, even though he didn't think it was perfect. "I had nothing but total complaints about 'Obamacare,' especially from young people," during the 2016 election, he said. On Wednesday afternoon, before House leadership called for Thursday's vote, Alaska Republican Sen. Lisa Murkowski raised concerns about the expedited path the House was taking and how the bill was shaking out. "What I have seen that causes me a little worry is the reports that, well, OK, we put this fund over here — it was a $15 billion fund. And now we're going to put this fund over here, and it's going to be an $8 billion fund. … Well, you remember with the Affordable Care Act, the Republicans were very, very critical of what we consider these slush funds for preventative care," she said. Murkowski also said she's firmly opposed to removing protections for people who have pre-existing conditions. 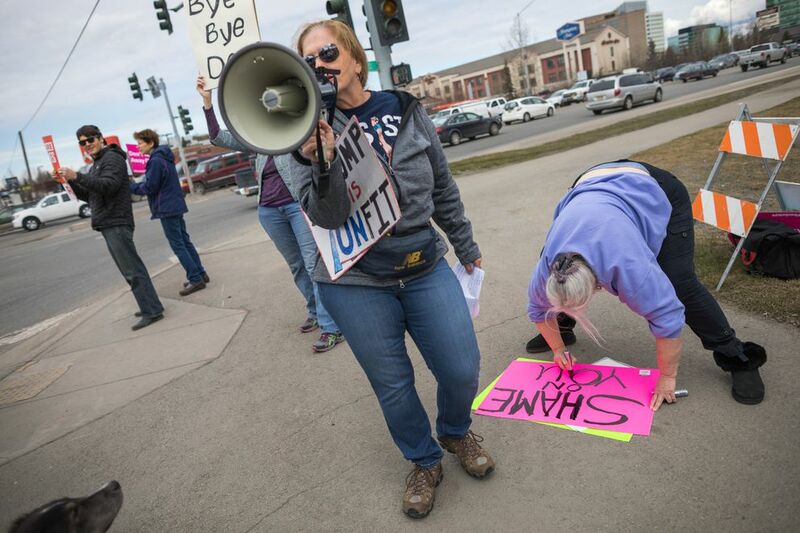 "That's not what Alaskans are telling me they think is an acceptable response," she said. Murkowski said she fears the House "is basically trying to just build the votes rather than build good policy," and get the "monkey off its back" to pass the bill along to the Senate. "That is a legislative strategy. No secret there. But you know this is important that we get it right. And I want to make sure that we're taking the time to get it right," she said. The Senate has a much tighter majority — only 52 Republicans to 48 who caucus with Democrats — than the House. Because the bill has been passed using budget reconciliation, the Senate only needs 51 votes to pass it, but its contents must remain limited to matters of budget and revenue. But overall, the Senate is far more moderate in its approach, and more Republicans — including Murkowski — are opposed to removing requirements to offer same-cost insurance to people with pre-existing conditions, or peeling back Medicaid expansion. Thursday's vote was not only about advancing the House bill, Young said. By backing his party's efforts, he gained more clout to pass future legislation that can benefit Alaska, he said. "This is what you have to remember — it's like a baseball game that goes into overtime. You go to bat a lot of times and you want to make sure you finally get a hit. I believe very strongly that I'm in a position now that throw me a softball and I'm gonna get a hit," Young said. "You have to have the assurance and the backing of leadership, or your bills don't move," he said. "Alaska has a lot of things on the plate, and I think we're in a better position to get legislation done for Alaska after the vote today than I was before." Correction: This story previously misstated the number of Republicans and Democrats in the U.S. Senate. There are 52 Republicans, not 51. There are 48 senators who caucus with Democrats (including two independents), not 49.